Agriculture is one of the areas where a great development in the use of drones is expected. 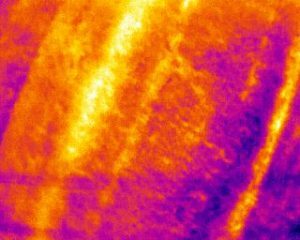 Combining aerial technologies to those of infrared photography, you can assess a crop health status in a better way than is possible only by ground inspections. Resource optimization, such as fertilizer distribution by each area , depending on the actual needs. One example is our partecipation in the Kellogg’s “Origins” project for sustainable agriculture. 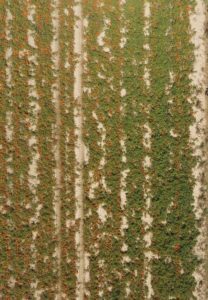 Benefits that result in an increase (in quantity and quality) of production, reduced costs and decreased environmental impact. The areas in which we are active at the moment are: rice, wheat, barley, corn, viticulture and tomatoes. The issues that we deal with are: fertilization optimization, water stress monitoring , early detection of diseases, detection of optimal time for harvest and evaluation of crop damage. 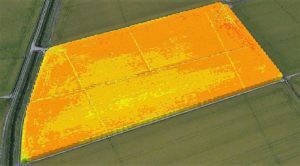 From a multispectral photo of the field NDVI (Vigor Index) is calculated and again from this the amount of nitrogen fertilizer required for each area of the field. Collaboration with a major tomato production consortium for the evaluation of fruit ripening. 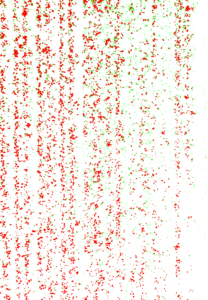 From a photo of the field, through a an image processing algorithm, individual tomatoes are identified, counted and classified into different categories according to the ripening status.